Steel Buildings - Vinton Construction, Inc.
Vinton Construction, Inc. can save you money and loss of valuable time by assisting you with all of your steel building projects. 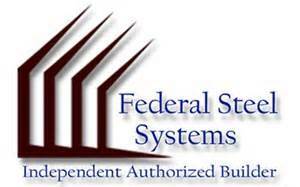 Large or small, from a commercial metal building to a basic shop or utility structure, we work with the experienced designers and engineers at Federal Steel Systems to help you develop and produce the building that will meet your needs. Get your project started by contacting Vinton Construction, Inc. and let us help you create the building you will have for a lifetime.